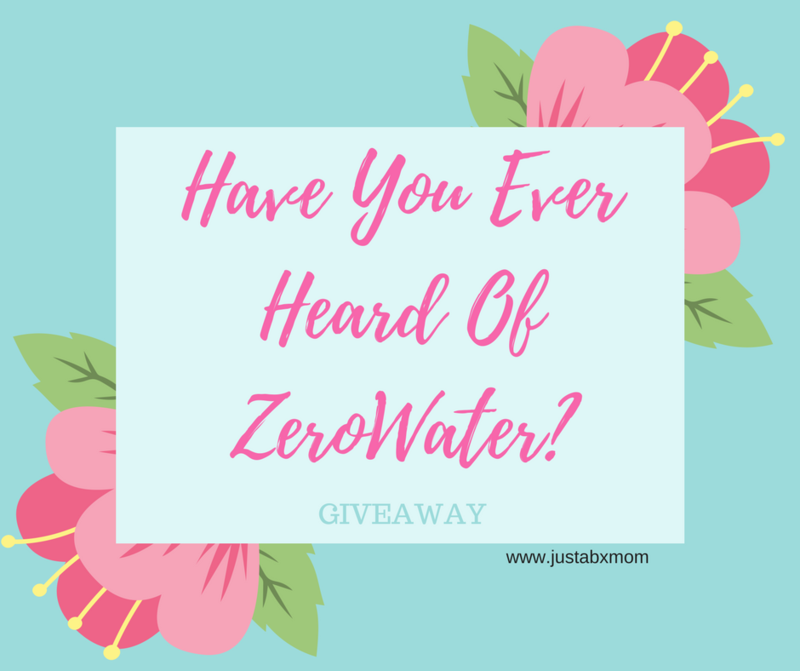 I hadn’t heard of ZeroWater but JustaBXgrandpa did. If you haven’t let me tell you about it. It’s a water filtration system and it is AWESOME. I’ve used a few of the other brands and haven’t had complaints about them but this water pitcher really made me say wow. You might have remembered my rant on clean drinking water. Therefore you know I take my water seriously. We’re always told that NYC has really good tap water but who is to say that’s true? With ZeroWater now I know we got good water. And ZeroWater makes it better. Now the TDS tester isn’t a way to measure lead. That would be really cool. This filtration system does however reduce lead and Chromium 6. The tester simply measures Total Dissolved Solids. What’s that you ask? I know I did. TDS are non-organic impurities found in the water. In other words anything that shouldn’t be there. The website is pretty cool. You can plug in your zip code and see what your area’s TDS level should be. Grabbed this chart from the ZeroWater website. Disclaimer: I was sent this product for review purposes. All opinions are honest & solely mine. This post contains affiliate links. My area should be around 26. When I tested the water straight from the tap it measured at 50. As you can see by the chart above that’s still in the good range. I guess the reason it differs is based on my pipes. I live in an old building and there’s probably some run off from the pipes. Still not too bad. But you know what’s better than 50 or 26? Zero! And when I used the ZeroWater pitcher you know what I got? A zero reading. Check out my video of when I tested my tap water after opening my pitcher. Hope you’re still with me. I didn’t do a video but I quickly tested some bottle water I had in the fridge. When I go food shopping we get a free 24 pack of supermarket brand water. When I tested it the reading came out 2. Yup, that’s more than zero. But wait there’s more! I tested a well-known bottled water brand and they received a reading of 32!!!!! WHAT???? You mean the water I pay for isn’t even as good as what my zip code is supposed to be? I don’t want to share the tested brand yet because I want to know who you think it is. I really was amazed. And I really am loving this ZeroWater. JustaBXgirl is loving it too. She’s been asking to drink more water and is really happy that she can pour it herself using the spigot. I am considering purchasing a few different brands and testing them for a future Youtube video. Would you watch? Let me know if you think I should do a water testing video and which bottled water brand you think scored a 32 in the comments below. And make sure to enter to win your own 12 Cup Pitcher below. It does not include the tester but you might want to consider getting that whether you get the pitcher or not. ZeroWater Pitchers are available in 6, 10, 12 cup pour size. ZeroWater‘s 23 cup Dispenser is easy and convenient and fits in most refrigerators. Maybe Dansani? You can test more if you ant to. I’m not sure which bottled water you tested. It would be interesting to see the results from several brands. I hope it’s not one of my favorites which are Dasani and Fuji…is it one of those? I think you should definitely test more. Not sure which brand…maybe Poland Springs? I do think that you should do a video and test more. Well, you said it was a supermarket brand so I’m not sure which market. I would be curious about some name brand waters. I personally feel like they may be the same. The supermarket brand was a 2 reading. It was a major brand that had the 32.
maybe aquafina?. you should test out fiji water. One of the Nestle brands? I don’t really know the quality numbers for their bottled water, but their business practices are not good. I will guess Great Value which is store brand available in my area. I am interested to see how Nestle’s Pure Life tests since I usually drink that brand. I’m guessing that you tried Evian bottled water. We sometimes get Ice Mountain or Nestle and even the Kroger brand.